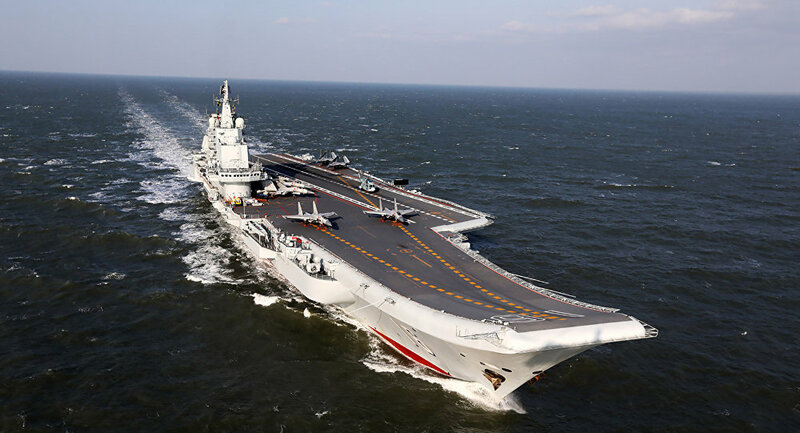 The Chinese public will soon be able to tour the Liaoning, the country’s first aircraft carrier, in Hong Kong, according to the vessel’s captain. Senior Colonel Liu Zhe told state broadcaster CCTV that Hong Kong was chosen because it has "better facilities," explaining that "there has to be certain facilities for an aircraft carrier to dock, which are expensive, and Hong Kong happens to have them." The South China Morning Post reports that the Liaoning and other vessels will be open for public tours on Navy Day and other major celebrations, such as in July when the public was able to tour the Liaoning in Hong Kong during the holiday commemorating the 20th anniversary of the city being handed back over to China. This marked the first time the public was allowed to tour the Liaoning since 2012 when it first entered service. Four thousand visitors toured during its five day port stay when it was launched that year, and hundreds of people camped out and stood in line for hours for a ticket. China bought the renovated Soviet aircraft carrier in 1998 from Ukraine. It underwent several years of renovations before entering service for China.